I have to confess, I still love cartoons. One of the cartoons I like to indulge in is My Little Pony: Friendship is Magic, a revamp on the My Little Pony cartoons I watched as a child. Based on all the MLP-inspired polishes out there, I'm not the only 20-something who still loves her ponies! 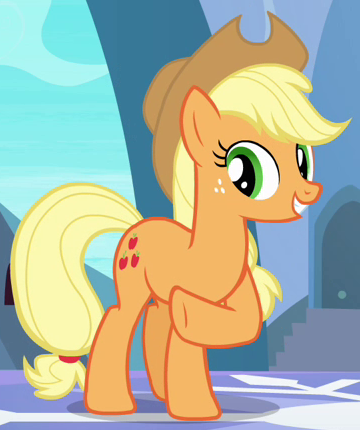 Rainbow Honey Hoof Wrassle is inspired by a pony named Applejack, a rough-and-tumble, hard-working tomboy who helps maintain her family's apple farm. Rainbow Honey took Applejack's coloring and ran with it, creating a complex mix of varying sizes of gold, copper, and orange metallic hex glitter, and gold shimmer in an orange base. Hoof Wrassle's formula was fine and dry time was fast. 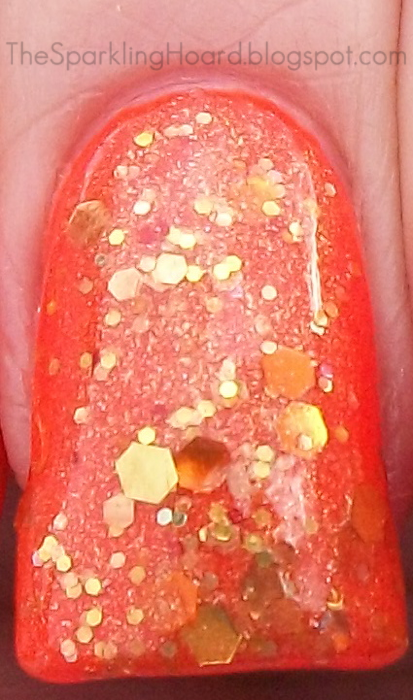 Because of the orange base, you can wear Hoof Wrassle on its own, but I chose to layer it over Urban Decay Showboat. Unfortunately, Showboat's extreme neon coloring freaked my camera out, so these photos probably aren't as nice and clear as they could be. 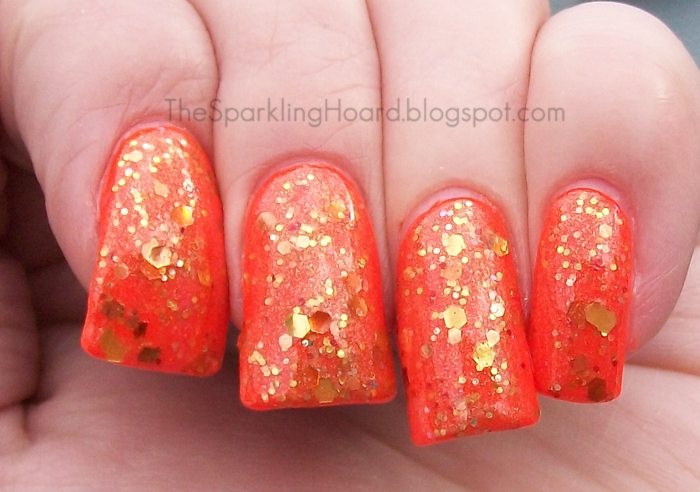 I really loved this combination, it made me feel like a glittering goldfish! If you own Hoof Wrassle, I highly recommend putting it over the brightest neon orange you can get your hands on! Hoof Wrassle costs $5 for 7mL and $10 for 15mL. You can buy Rainbow Honey products on their website, MeiMei's Signatures, Norway Nails, and other retailers. You can stay up-to-date with Rainbow Honey news by following their Facebook page or their blog.